You may have visited our sister pub, The Masons, in Bury St Edmunds before - you can expect the same level of friendly, fast service alongside quality, fresh, local ingredients. we promise to provide fresh, expertly made dishes on site that will tantalise your taste buds. Paired with friendly service, quality lagers, ales and guest ales, The Station really is the place to visit. Whether you are looking for a simple lunch, a meal with your partner, a family get-together or a tasty, fresh quality roast, you will not be disappointed. 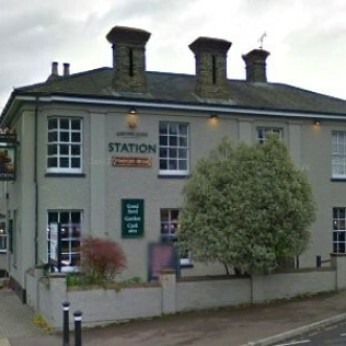 The Station is a child and dog friendly public house. Find us opposite the entrance to Bury St Edmunds Railway Station at the bottom of the hill. We're really sorry but we don’t seem to have any offers or events for Station. We're sure there must be something happening here but they just haven't told us about it! Please do mention this to Station when you next visit them.